We believe that one of the biggest reasons of SJS being a preferred partner for the global majors, is our strict and relentless pursuit of quality. Not only do we have some of the best testing facilities, that replicate real-world conditions and are able to predict life to great precision, we also ensure that nothing that does not measure up to our expectations goes out of our door. 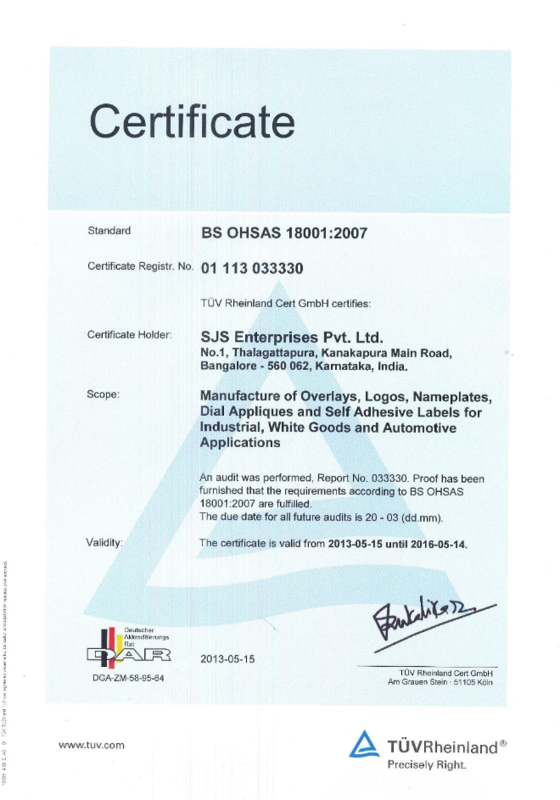 No wonder we have won numerous awards and accolades for our commitment to quality. SJS has to its credit, some of the most sought after certifications in the industry – a testimony to the world-class facility and workforce that we have created.